Chinese people are really interested about Milan EXPO 2015 for some specific reasons: first of all their holistic and circular vision on proceeding of situations in terms of cause and effects inevitably links Milan EXPO as important consecution of successful edition of Shanghai EXPO in 2010, then recently Milan is going be configured as one of most preeminent places for style, design and luxury among european cities. We should consider that one good selling point about “Italian Dolce Vita” for common chinese visitor would be more fashion, design and luxury as part of prestigious life than italian tradition about food and gourmet, that’s because China also got important and long tradition for that concerns food and cooking experience. For sure the main topic of this italian edition of EXPO will be a great opportunity to educate chinese visitors about our well framed production of excellences that we can offer as special selection from wide italian gourmet’s scenario. As international event with some hundreds of thousands of participations from China (maybe more than 1 million of visitors from China) the occasion is great to boost communication and promotion concerning business ventures in particular for those chinese companies or investors who are improving their operative presence in Europe starting from Italy. And cause China presents specific own system for those online applications regarding social networks, video sharing platforms, search engines, instant messaging and blogging and all those tools that are necessary to reinforce online marketing, it means that from chinese side it’s going to be created a new image of Milan EXPO on communicating contents and specifications that are useful to introduce chinese vision of EXPO. 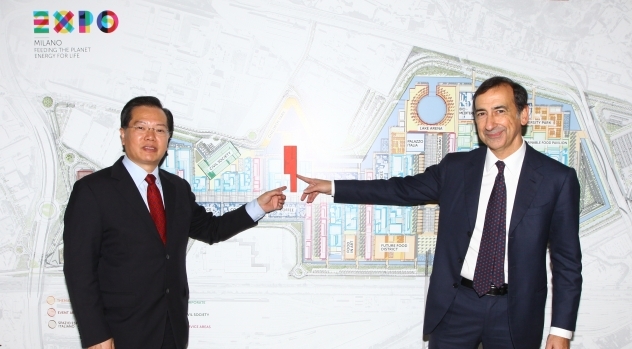 In particular if we check some comments in chinese using sina weibo among thousands of “tweets” about Universal Exposition of Milan 2015 we can understand how sceptic they are about completion of pavilions, general organization and logistic issues in Milan comparing with Shanghai 2010. But chinese operators who are involved in business issues from Europe to China and viceversa are introducing the semester of EXPO as special prosecution of glorious start for boosting of chinese economy from 2010 and they are focusing on strategical campaign managed on chinese social networks keeping on feature those elements that are more connected with their business purposes than with those analysis could promote Milano EXPO itself. So we can understand, following a concrete aptitude that is intrinsic of chinese behavior, how is important for italian companies and investors too to plan marketing strategy that should emphasize our presence or brand or business focusing on elements and discussions that have been already set up by chinese people in their structure of communication. 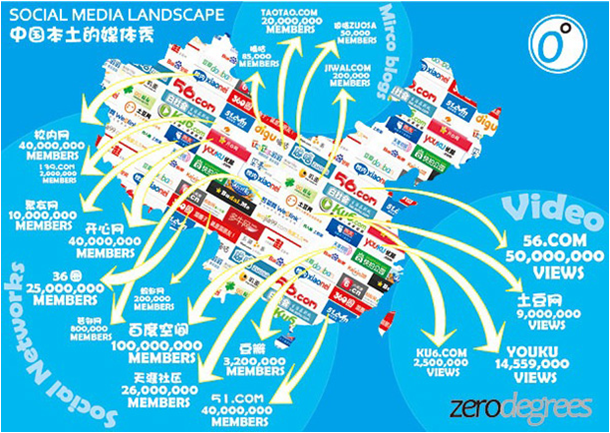 If China doesn’t allow any campaign on Facebook let’s start on practicing contents on Sina Weibo; if it’s not convenient to invest on optimization of keywords, tags and corporate’s web address on Google as search engine, let’s consider to analyze Baidu; if our corporate videos, produced to communicate something to potential chinese partners, cannot be uploaded on Youtube or Vimeo let’s check the efficiency of YouKu: if we wanna communicate on wide range directly to chinese visitors we should consider to buy campaign on “we chat” or informing them through this instant massaging system about calendar of events will take in Milan during Milan EXPO. There are already more than 20.000 events collected in EXPO IN CITTA’ official website promoted by Milan City and it’s not easy for sure to put one of them on feature to attract specific target of international users but I think that if China is re-inventing parameters to understand EXPO with online social networks, that could represent a specific solution to underline those events or marketing campaigns we want to manage in behalf of chinese visitors (for specific strategic market’s purposes). My consulting company with other partnered organizations is already involved on providing marketing services during Milano EXPO for operators from Food & Beverage industry and we’re planning specific on line and offline promotional contents managed for chinese target. It means we are guiding clients on duplex way: first of all as offline segment we are providing services to organize small exhibitions and promotional product – placements (promotional corners, gadgets, events, products tasting, educational contents) in some hotels in the center of Milan, on the other hand we are following the chinese way to approach Milan EXPO online, and on doing so we are exactly reinventing campaigns as chinese users are used to do through chinese social media: discussions, word of mouth’s methods, advertising for cultural events with specific sponsors from food and beverage industry, surveys etc everything is perfectly adapted for chinese destination in their online crossing media system. China represents always challenge and opportunity at the same time. It’s up to you to choose the way to get the best. Questa voce è stata pubblicata in Business opportunities, China e contrassegnata con business china, china, internet china, marketing online, milano expo, milano expo 2015, online sales, shanghai expo. Contrassegna il permalink.